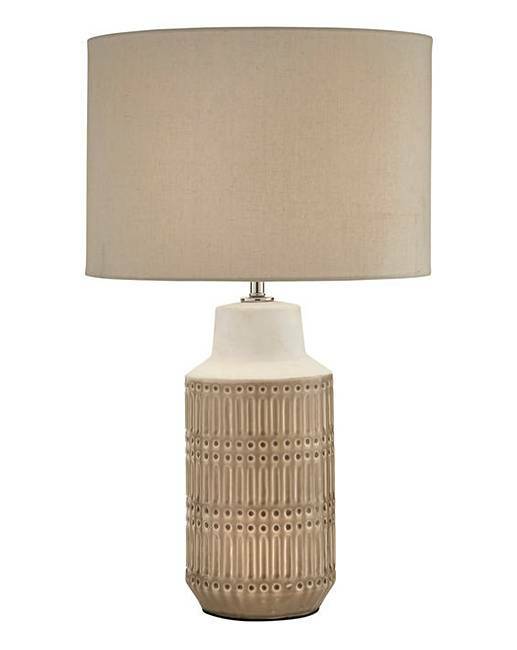 Textured patterned ceramic base table lamp teamed with a neutral shade, which creates a warm glow for a relaxed ambiance. Bulb recomded: ES GLS, 42W Eco Halogen, 11W Energy Saver, 10W LED. H.63.5 x W.38.5 x D.38.5cm. Metal base with fabric shade.